Welcome to the Teacher Training! This course is also suitable for you who might not want to teach, but wish to deepen your own yogapractice, or for you who is already a yogateacher and want to develop further and learn to teach from the heart. The course is in retreatform, three steps of 10 days each. In August and May. we meet in the forest of Småland, Sweden and in January we enjoy the beach and warm sun on the magic island of Bali, Indonesia. Between the steps we stay in touch and give support and homeassignments. 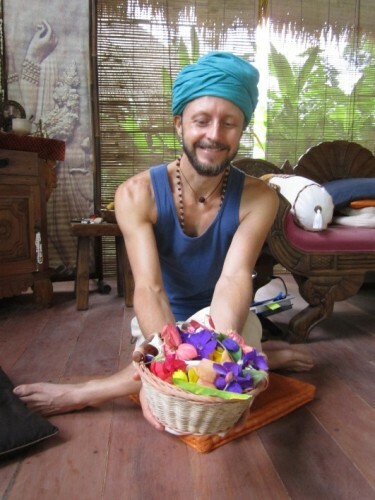 The course involves 270 taught hours filled with theoretical and practical classes that include: -Traditional Yogatechnique (Asana, Pranayama, meditation and mantra) – Yoga philosophy, Attitudes and Lifestyle – Anatomy and Physiology (including both the teaching of the body and the different organs, as well as knowledge of Prana, Nadis and Chakras) – Teachingmethodology (how to teach, demonstrate and adjust) and discussions around what it means to be a yogateacher – Practicing your teachingskills, feedback, observing others teaching – During the first step Sky gives you a personal program that fits your body and constitution that you bring home to practice – Introduction to Ayurveda – Yoga from the standpoint of the 5 elements – Private coaching sessions – Voice training – Personal support throughout the year – Possibility to apply for Yoga Alliannce certificate at the 200hr-level The course is a dedication during 10 months where you will get homeassignments between the steps and stay in regular touch with the teachers. Dates: A new Teacher Training will starts again in August 2015. Discount OFFER: If you pay the full price by the end of May you get 10% discount. Accommodation and food is included in the price. Lead me from the darkness of ignorance to the light of knowledge from untruth to truth and from death to the understanding of my true nature as deathless. Step 1 and 3 takes place in the beautiful retreat-hotel Be.businessretreat in the forest outside Älmhult, south Sweden. 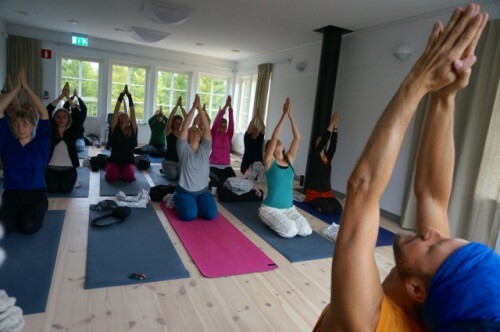 The venue was built 2014 by Samayoga teachers Åsa and Anders Rexare Thulin who had as part of their vision to host the Sama Yoga teacher training. They have created the place in line with the yogic core value of doing least possible harm – using as much eco-friendly and closely produced material as possible, aiming at getting a ”svanen” eco-certification as soon as possible. The food is of highest possible quality, organic ingredients, vegan & gluten free. 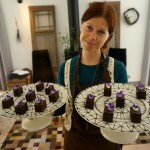 Each meal is lovingly prepared by the excellent chef and Samayoga heart Hanna-Lucia Persson and her team. She knows how to create balancing food depending on what’s needed each day. She herself has been through the teacher training twice, so she knows well what is needed and how to support! Why is the SamaYoga Teacher Training unique? 1)Emphasis on Self-Development SamaYoga presents a full yoga lifestyle, how you can live in harmony with your environment, and most importantly how we can mature and grow into responsible, stable, spiritual people that honor and live a life in accordance with human values. The teachings come directly from Bhagavat Gita, Patanjali Yoga Sutras and Vedas. We learn about asana, meditation, Puja, Prayers, Devotion, Emotional management, proper chanting, Mantra, and meanings of mantras, psychology and how the consistent practice of these disciplines earns us grace and blessings in the life. 2)The yoga classes are uniquely presented The Yoga is delivered straight from the heart, from a deep trust in the yoga wisdom and knowledge to flow from teacher to student. It is delivered as a prayer. The confidence to teach this way comes from absorbing the teachings over several years of study and practice. We train ourselves to be very present, available to learn, quiet and focused in the mind, inspired, and devoted to yoga as a way of life. The yoga arrives more and more deeply in our heart and available to come out as the situation calls it to come. We learn how even a simple Asana (posture) can be richly presented in such a way that its effects go deep and the students relax and resolve into the more subtle aspects of the pose the heart-centered presence of the teacher is developed as they embody the teachings more fully due to a consistent commitment and a love for sharing the knowledge. The teacher feels grateful and mutually honors the students, free from manipulation and control issues. Relaxed in non-competition, students are encouraged to honor their body/minds, they are praised, beautiful qualities are recognized. Freedom form competition, comparison and control, which means freedom from sorrow. 3) The physical presentation of SamaYoga is an integration of Hatha Yoga, Kriyas, Qi gong and heart opening mantras, intuitively delivered in a relaxed way, that honors the students and lets them feel comfortable the whole way through. There’s a sense of continuous flow even in the stillness, the poses lead gracefully from one to another allowing the practitioner to go deeply into the sensations feeling the more subtle aspects of the pose. Guidance is given in an appropriate way, enough to direct students to set up the pose correctly, then pay attention to specific aspects and feelings in the body. Mantras and movements are incorporated into the class to deepen focus and devotion this also brings an opening to the voice and heart. The teaching is conveyed with simplicity and depth. 4) Learn how to teach with your heart and full presence While teaching Yoga we take great care to use language that is appropriate and non-manipulative, so the students can truly trust and relax. This is absorbed by the students throughout the course and will become their language too. We learn how to teach without using notes. The mechanics and technical aspects of the Asanas are explored in depth and students get a good understanding how to perform the asanas and practice teaching them to the group.We devote two classes per day to being on the yogamat and engaging in hatha yoga, both in flow and structure, solo and groupwork. 5) It takes a commitment The students get a good understanding how to perform the Asanas and practice teaching them to the group. We devote 2 classes per day to being on the yoga mat and engaging in Hatha yoga, both in flow and structure, solo and group work. Yoga is a commitment to cognitive and emotional maturity! The teaching is there and guides us as to how to do this. Going pain is Growing pain, we learn to stay present with painful feelings. Yoga Sutras presents the Yamas and Niyamas as the first limb of Yoga practice. It’s not to be taken lightly or passed over. SamaYoga asks the students to commit to living a life in alignment with these sacred values. We teach these thoroughly, we live these values and see how they bless us, deeply strengthening our character and freeing our heart from conflict. The benefit of this is: less reaction, less frequency of reaction and sooner recovery from reaction. We commit to practice Yoga Asanas and Pranayama as a means of stabilizing the mind and body. See what happens when you commit to a daily practice of nadi shodana for 6 months or longer. 6) Personal programs are prescribed for all Teacher Trainees Sky meets all students individually, seeing where they are at, what is the physical/emotional state of the person and what they can focus on in between the 3 segments. Personal programs are not set in stone and sometimes altered accordingly to the changing needs of the student. All personal programs are shared with other students in the course so they gain a resource bank of different practices and they can see how the practices are suited to the individual needs. 7) We learn and practice Japa Sadhana –repetition of Mantra This is a rich resource for the student, and all students are initiated into Mantra Japa. They are encouraged to chant every day, and over time they can gain deeper and deeper focus and devotion in the chanting. This is a great way to learn to manage our thoughts, when we repeat the same sacred words over and over we clearly see what thought patterns pop up that’s not part of the chanting. Our voice is the tool to convey the words, there must be a confidence and strength to deliver these special words. Chanting and repetition of mantra gives this voice strengthening. Also the mantras are taught correctly, how they were originally presented and honoring the sacred Vedic sounds. The meanings of the mantras are also unfolded. In the mornings we chant Mantra 108 times. 8) We get to travel to Bali The 10 days in Bali are special indeed. 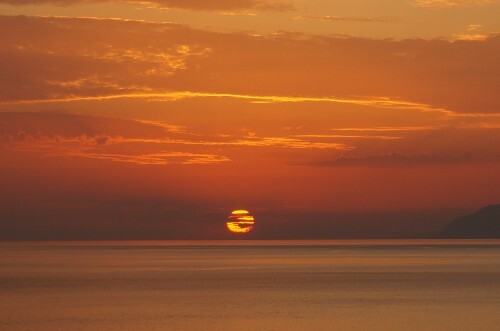 By the ocean, warm, away from all familiar forms, on a magical, spiritual, island where the people are living in prayer. To grow we need to stretch our comfort zones, sacrifice some of our personal likes and dislikes – see what happens when we show up in a different culture. Travel is a great way to deepen our yoga study, we give our ourselves time to break away from our familiar story and enter a new chapter, the title being, “I’m going to deepen my yoga knowledge”. It’s powerful. Bali has a certain healing power and many healers live here. The culture and climate enhance your yoga study by reflecting it in the eyes of the people here – people living a life of ritual, offering, and constant sacrifice. 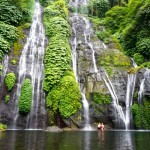 9) We make a sacred pilgrimage to 7 waterfalls and a holy cave in the Balinese forest. One day we travel to the mountains of Bedugul, Bali and make a hike to 7 waterfalls. Taxis will take us safely from our venue and back again and the trip can be adjusted to less distance for those who do not wish to walk as much since the holy cave as well as some of the waterfalls are nearby to where a car can get to. This trip will be guided by a Swedish guide and Samayoga heart Ingela as well as her local partners. The trip will be paid by each student in Bali and cost 400 tRs (approx. 260 SEK) including lunch, snack, guides, entrance taxi and donation to the local area. More info here. 10) We get classes with a very rare traditional teacher, a Swamiji (master) who deeply understands the purpose of yoga and has practiced it, lived it thoroughly and taught for 40 years. Swami Vagishananda Saraswati has been an important aspect of this training, teaching us traditional Vedanta and yoga lifestyle as taught in the Bhagavad Gita. Swamiji takes the role of a seeing-eye dog and guides us with words to see what we truly ARE, to see the essence of ourselves that is unaffected by the various states of the body and the mind. We get to ask questions about the nature of oneself, the world and God. The purpose of this teaching is to help us be content in ourselves, by ourselves, no matter what happens in body and mind. Sri Swamiji is a rare jewel indeed, we are blessed to have classes in Bali with a teacher so deep and so available to share this knowledge clearly.